Looking for Tickets? Compare F1 Tickets with the leading retailers.. 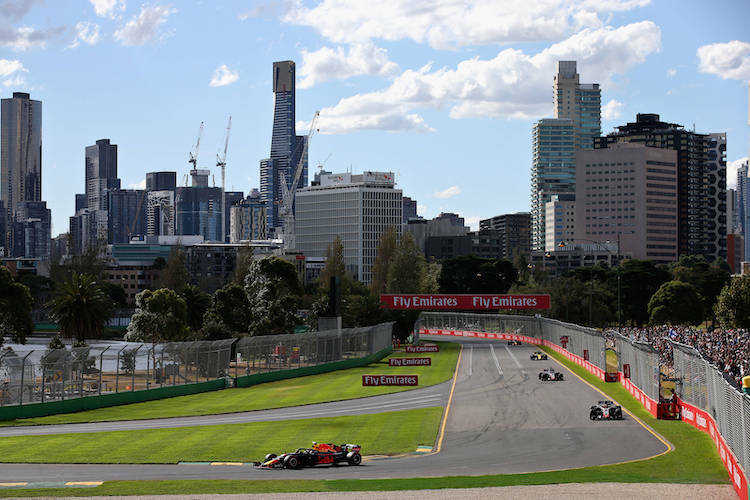 The Albert Park Grand Prix circuit is only a few minutes walk from the centre of Melbourne, Australia’s second largest city and one of the most culturally rich areas of the country. The local ethnic diversity is thanks to the large influx of immigration that took place during the 1850’s when gold was discovered nearby. Melbourne is world famous for its excellent restaurants and nightlife, and is also known for hosting a variety of international festivals and sporting events. It is the capital city of Victoria and is located in the southeastern corner of Australia, making the weather highly variable. It is often said that if you don’t like the weather in Melbourne, you only have to wait ten minutes for it to change. When Melbourne missed out on the 1996 Olympic Games the city made a bid for the Australian Grand Prix instead. The local Victorian Government spent a huge amount of cash to steal the race from Adelaide (much to the delight of Bernie Ecclestone) and made a similarly large investment upgrading Albert Park. Some of the improved facilities were later used during the 2006 Commonwealth Games. Interestingly, Albert Park first hosted a Formula One race back in 1953, although the event was a non-championship round and was run on a different, and much faster, circuit than today. The circuit utilises public roads within one of the many parks around Melbourne and takes three months to prepare each year. The layout is dead flat but contains a healthy mix of corners and is especially fast for a street circuit. Drivers enjoy the flowing nature of the track although small mistakes are harshly punished by the close barriers. The circuit runs around the outside of Albert Park Lake and follows the basic outline of the water’s edge. Trackside spectators are able to get very close to the cars at speed, but can’t see much except for what appears right in front of them. With the exception of 2006, Melbourne has hosted the first Grand Prix of the season for the past thirteen years. The race has usually been hit hard by attrition because many of the cars in action are new and untested. 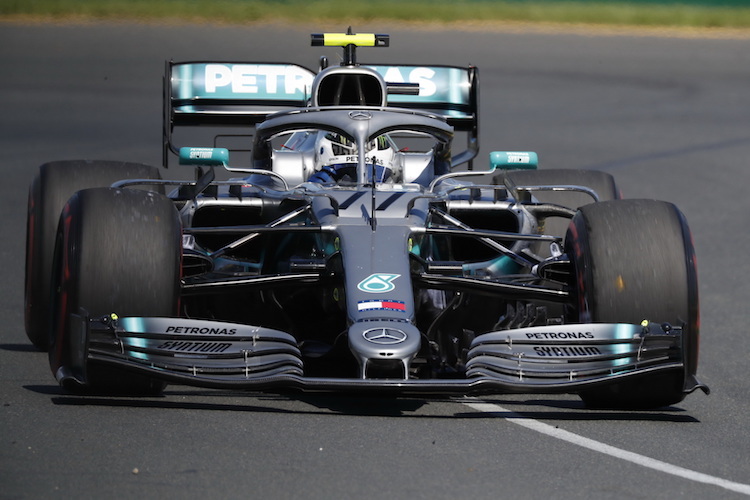 As such, Williams, McLaren and Ferrari have each taken dominant victories at Albert Park by getting a jump on their competitors over the winter break. Rain has affected five of the last seven F1 weekends in Melbourne and this, combined with some overly excited drivers, has produced some very eventful races. Michael Schumacher is the only man to have won the Grand Prix more than once and amassed four victories between 2000 and 2004. The circuit is always dusty making grip levels very low, and the trees cast long shadows over some of the braking zones. This is even more evident now that the race is run during twilight hours. Turn five is particularly difficult because drivers can only take the corner flat if they get their line just right, and the 230kph chicane out the back of the circuit is also a place where precision is the key. Why Watch the Australia F1 Grand Prix? The first race of the season is bound to be unpredictable and there will be a new line up of contenders to check out. Many of the drivers are a little bit rusty after the winter break and there is usually some madness on the first lap. 1996 : Martin Brundle cart-wheeled over two other cars at the start of the 1996 race, braking his Jordan in half. He earned worldwide exposure for running back into the pits to use the spare car for the restart. 1999 : Eddie Irvine took his first victory in a Grand Prix that several drivers could have won. Michael Schumacher and Rubens Barrichello launched strong challenges from the back of the grid, but in the end it was Heinz Harald Frentzen who pushed Irvine hardest for the win. 2002 : Ralf Schumacher triggered an accident that took eight cars out of the race at turn one. Without the use of a crane, marshals dragged Felipe Massa’s Sauber off the circuit so the race wouldn’t have to be stopped, allowing local hero Mark Webber to come home fifth on debut with Minardi. 2004 : Michael Schumacher broke the lap record in practice on only his first flying lap. On his second lap he lowered the benchmark again by over a second, and promptly pulled back into the pits. In the space of just five minutes Ferrari had shown they would be unbeatable all year.